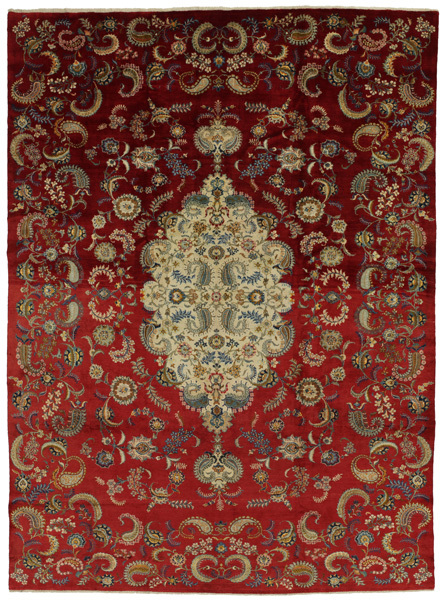 Qum Carpets : The weaving of Qum carpets began on a large scale in the 1930's and they have experimented with various designs of old carpets such as Senna, Kashan, Isfahan and other renowned Persian carpets. 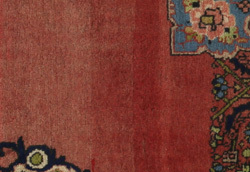 A new generation of designers created new designs with rare colors for Persian carpets, like light green and turquoise-blue. 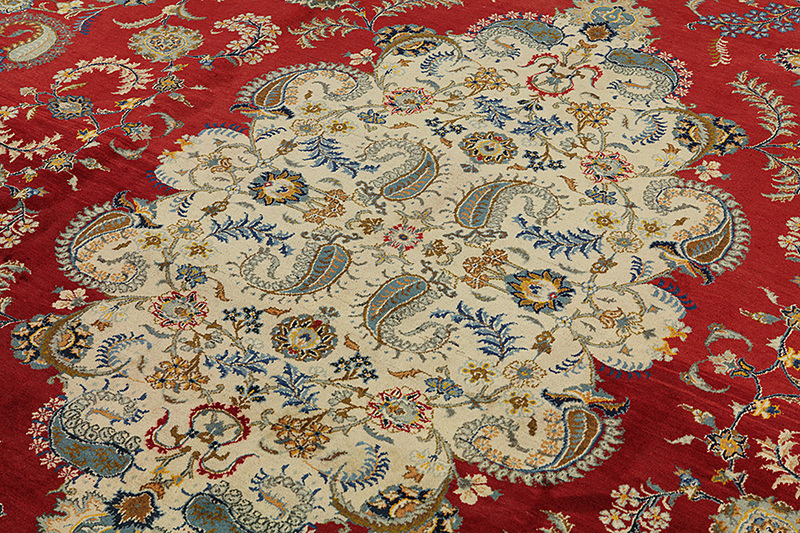 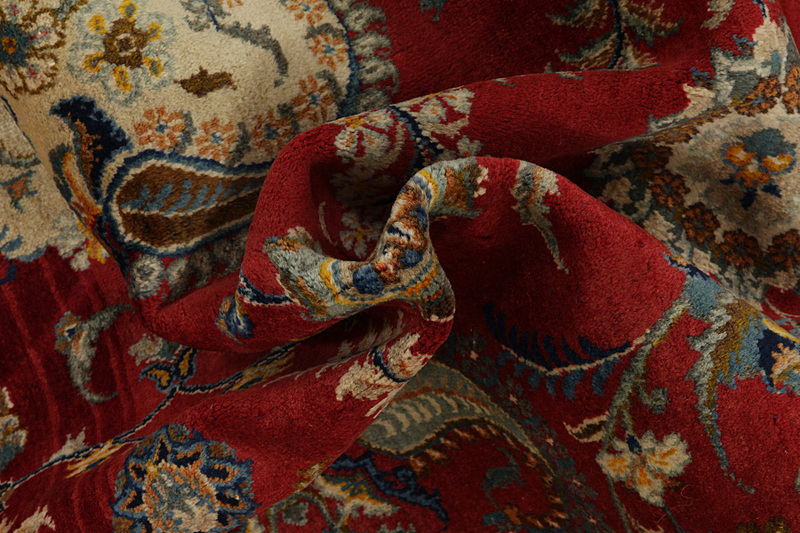 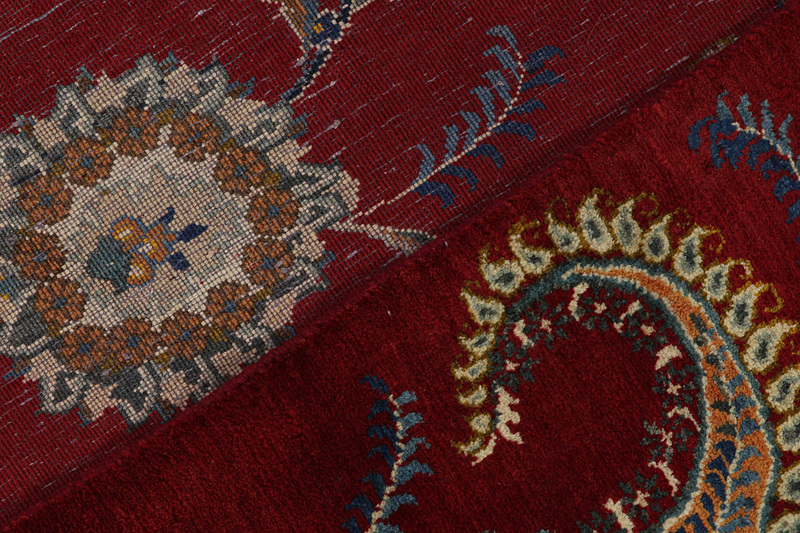 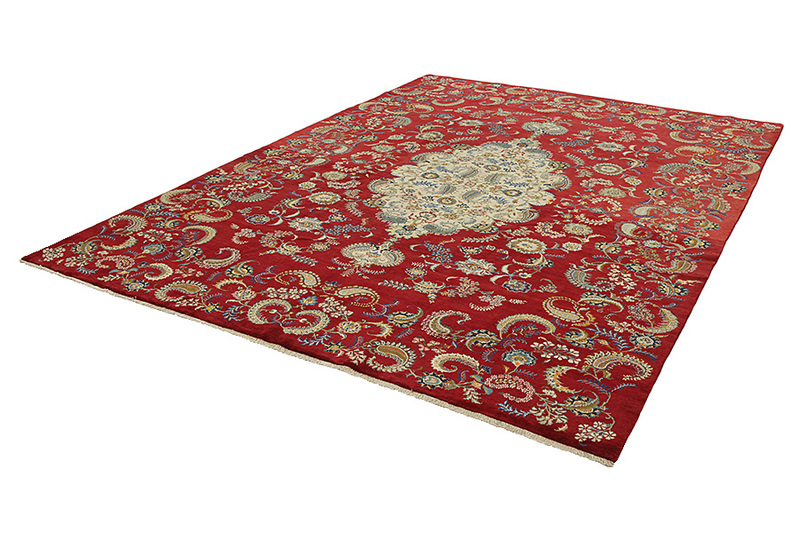 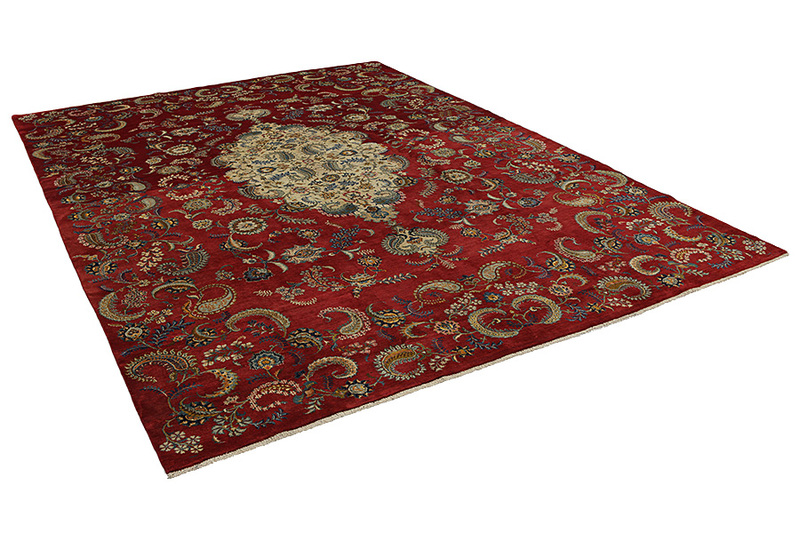 This way Qum carpets developed an original character of their own. 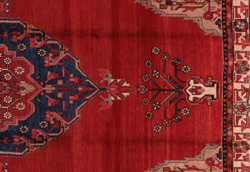 Among the many famous projects is the Garden: a design with several repeated blocks, within which are depicted flowers or animals (images of birds, winged lions, and dragons), old Persian hunting representations or various historical scenes. 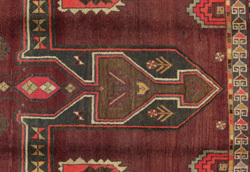 Prayer carpets with various religious themes are also well known. 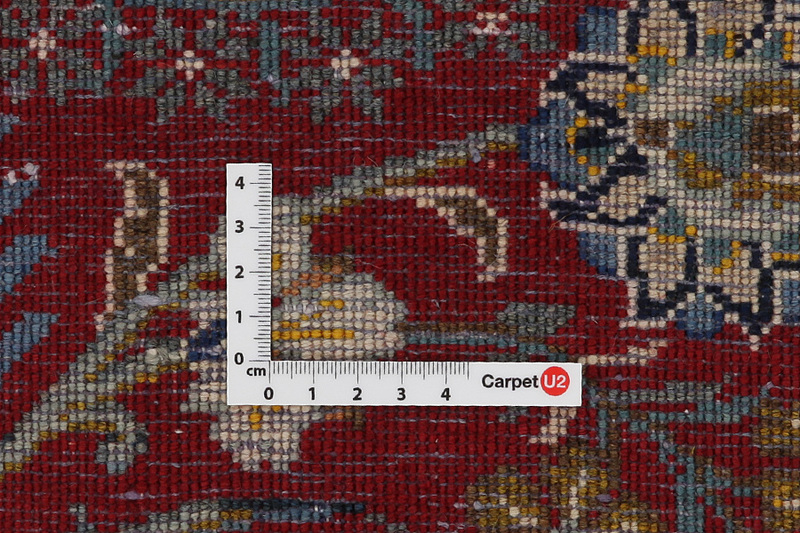 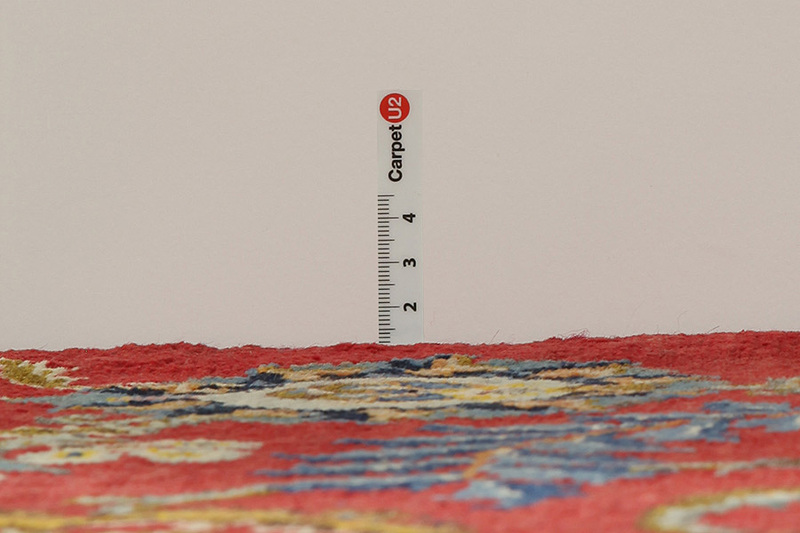 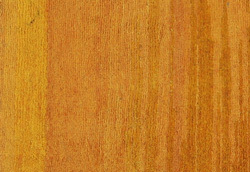 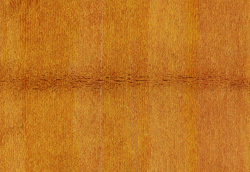 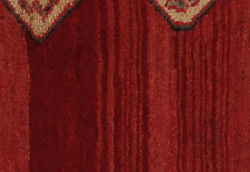 The carpets have a high knot density and high class materials. 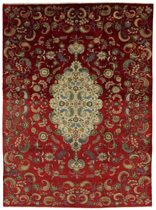 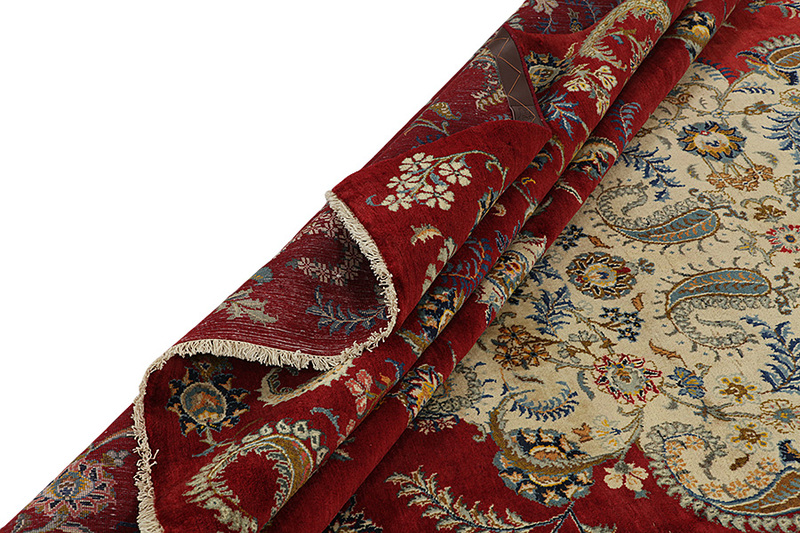 Silk and fine quality wool establish them as very high quality carpets.